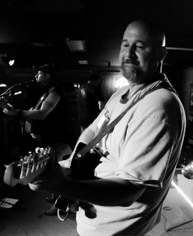 Genre...Southern Rock, Blues, Country and Originals. We have 3 talented song writers and we write on a weekly basis. The band...Hooch Holler was formed in the north Georgia mountain foothills at an undisclosed location in February of 2012. This bands appearance was a pleasant surprise to many, just as much as a load of hooch is around these parts. Just as smooth and just as fun. Stick around awhile...Check back often for we add new stuff weekly.